Bowling is a fun activity that’s not only a mode of recreation rather a great sport. It has gained immense popularity due to the easy rules of the game and no fixed strategy to follow. There are tons of bowling ball manufacturers and Storm is one of the most prominent one among them. If you’re in search of a great bowling ball then you’ve come to the right place. Finding the perfect one is quite a daunting task, especially if you’re an entry level player. Also, it’s quite hard for the skilled players to make the ultimate purchase decision as there’s a pool of good bowling balls available in the market. Strom creates bowling balls to meet the needs of all sorts of bowlers. They have a versatile range of products for both beginners as well as skilled professionals. There are many elite professional players who swear by Storm’s bowling balls. In this review, we have gathered the best Storm bowling balls. Let’s jump into the review. Strom PhysiX is one of Storm’s finest creations and it will certainly help you take the game to next level. The PhysiX is one of the new additions to Storm’s premium collection that vows to deliver superior performance. 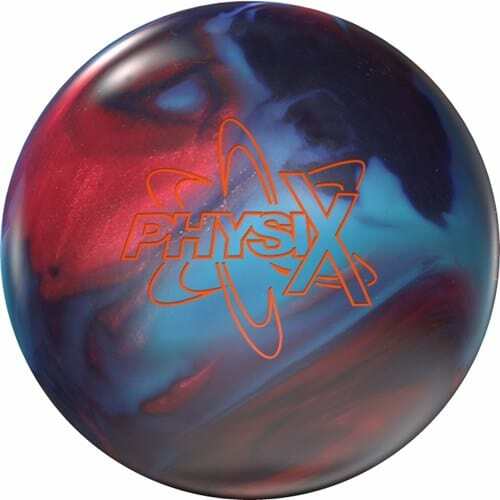 This bowling ball uses Storm’s revolutionary Atomic asymmetrical core design wrapped in NRG Hybrid Reactive cover that comes along with 3000 Abralon finish. The asymmetric cores are known to provide a large amount of track flare, hence, it’s ideal for advanced players who want to develop their skills more. The Storm PhysiX provides fast rev up with super aggressive movement down the lane. This ball is great for oily lanes as they don’t have much friction, therefore, it glides like butter through an oily lane. It can easily cut through the oil and provide more traction. It’s available in 5 different size variants ranging from 12 pounds to 16 pounds. The lighter variants are excellent for intermediate players who’re trying to improve their performance and the heavier ones are a perfect match for professional players. The price of the PhysiX is a bit on the steeper side but have you ever bought gold with a nickel? It has excellent hooking potential along with durability that surely does justice to the price tag. 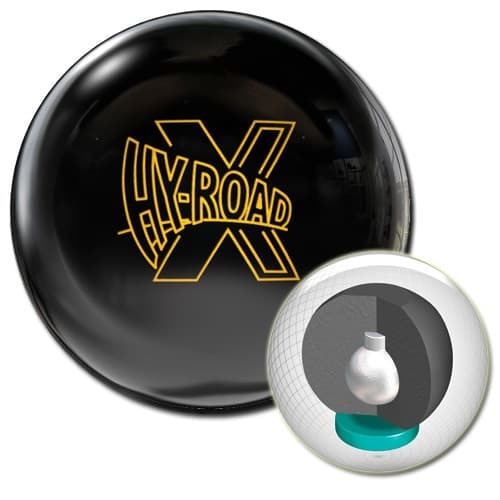 Storm Hy-Road X is an upgraded version of the original Storm Hy-Road that took the bowling world by storm. This majestic beauty is created keeping in mind the modern bowling scenario so that it can offer both power and reaction simultaneously. It comes with an Inverted Fe2 Technology core which is common in other Hy-Road balls. The core is wrapped with R2X coverstock with a 1500 grit polished finish which offers way more aggression and power than its predecessors with perfect reaction time. It has a low RG of 2.57 with 0.046 differential. This low RG and differential enable the ball to have less flare and more length. This Hy-Road X comes in 5 size variants from 12 pounds to 16 pounds so that nobody has to miss the awesomeness of this beast of a ball. The Hy-Road X not only has great specs but has killer looks too. This ball is great for medium to light oil condition. The 1500 grit polish finish will offer you a predictable read off the pattern. It doesn’t come pre-drilled which gives you the flexibility to drill it to fit your hand as well as your playing style. The Hy-Road X has a moderate price tag that does justice to the performance it provides. Overall, it’s a great bowling ball for the advanced players as well as the beginners who are trying to develop more skills. 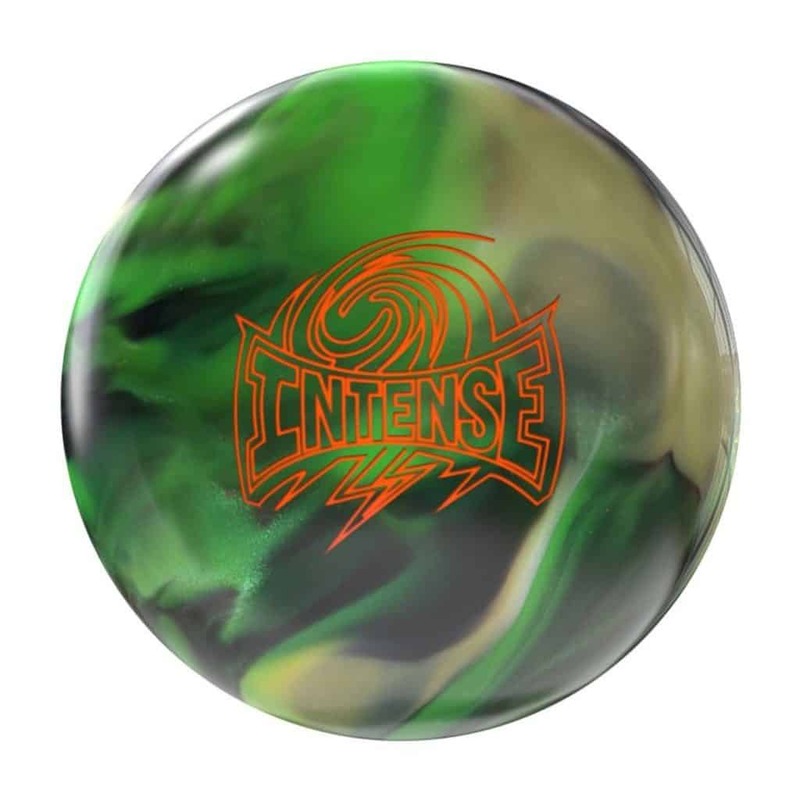 If you want to add intensity to your game then Storm Intense the answer also, if you’re a Code series fan then this would be the ultimate choice for you. It offers incredible reaction and it glides like butter through the front and mid lane even during strong angular motions. The Storm intense has a Rad-E asymmetrical core with R3S Pearl Reactive coverstock with 1500 grit polish finish. The asymmetric core helps to provide a large amount of track flare even when there’s long pin-to-PAP distance. It offers massive power that will have an intense impact on the pins. It also features a low RG of 2.49″ with a total differential of 0.050″, and an intermediate differential of 0.017″. It has 5 size variants ranging from 12lbs to 16lbs. This ball is designed for professionals as it has impressive hooking potential. It works extremely well on heavy oil and medium oil lanes. If you play at the Leagues then this ball will be your ultimate companion in this season. When it comes about looks, the Storm Intense is pretty decent looking. It comes in a combination of several green shades, however, there is no color variation which can be a bummer for the picky bowlers out there. 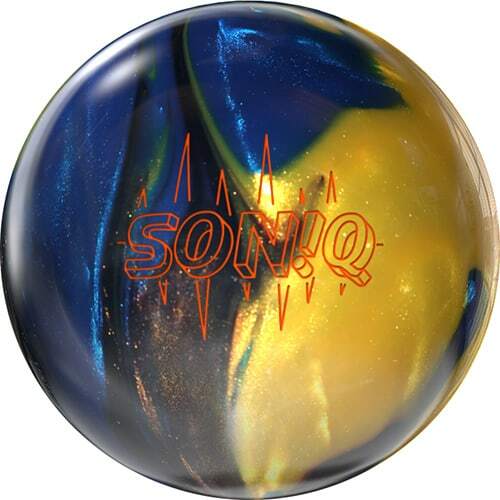 The Storm Soniq is one of the most versatile bowling balls available in the market that will take your game to the next level. The Soniq was one of the most hyped releases by Storm due to their huge success of the IQ lines. The Soniq has Centripetal HD symmetric core that’s wrapped in R2S Pearl Reactive coverstock. The Centripetal HD is an absolute beast. It’s one of the densest cores Storm ever produced pushing the RG all the way down to 2.47 and a differential of 0.047. It’s a super heavy rolling ball that needs the high differential that the high differential provides. One of the key features of this ball is the high controlling consistency along with a phenomenal reaction. As soon as the Soniq hits the lane it keeps revving and rolling due to its R2S coverstock. If you’re a straighter player then this ball is not an ideal choice for you as it has top-notch hooking potential that makes it a perfect fit for the advanced players. The Soniq is specifically designed for a lower rev or higher speed game. It comes in five different sizes ranging from 12lbs to 16lbs which makes it suitable for players with different styles and body structure. 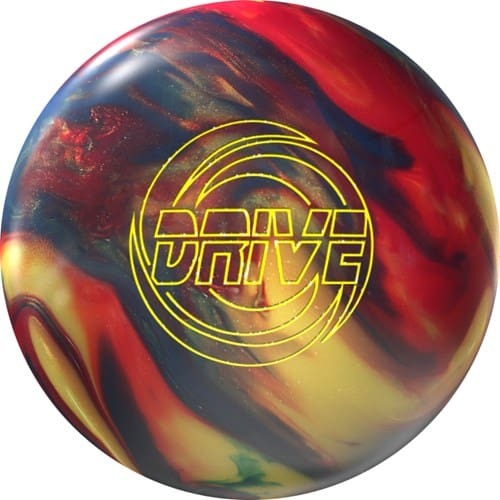 The Storm Drive is the Holy Grail for skilled players who are in a dire need of a good bowling ball to enhance the performance. The Storm Drive has Dual-Drive symmetrical core shape wrapped with the new R2S cover. This ball has extremely smooth movement and it picks up nicely in the mid lane. It doesn’t snap too hard on the back which makes it very controllable as well as predictable. This symmetrical cover provides massive hit rate that will result in a strike with very little effort. The Storm Drive offers superb reaction rate hence this is great for anyone who has a decent rev rate. It comes in five size options from 12lbs to 16lbs to meet the needs of all sorts of bowlers. It comes out of the box with 3000 Abarlon grit finish that moves like butter on the alley. It has fantastic hooking potential therefore, it’s very suitable for the advanced players as well as the intermediate level players who’re looking for an equipment to up their game. The price might seem a bit on the steeper side, but if you consider the performance it provides, it’s quite worth the splurge. 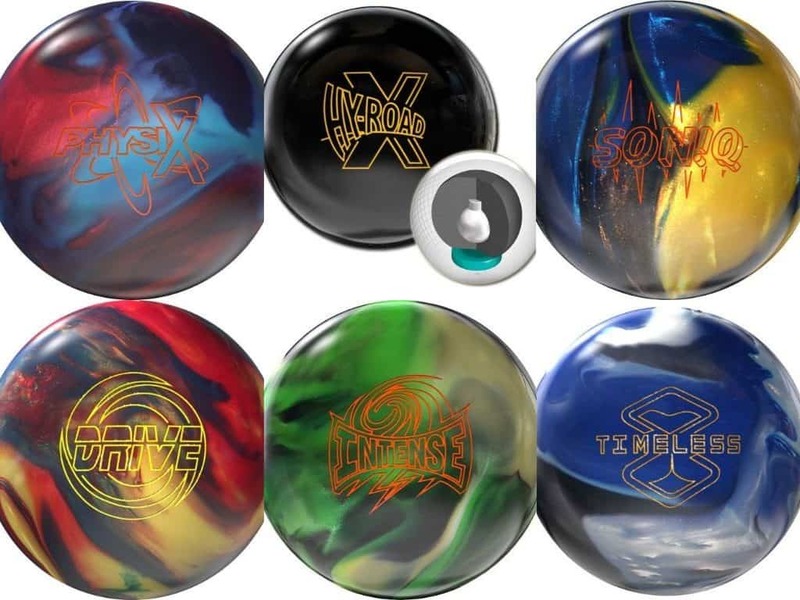 Now that you know about the top rated Storm bowling balls, there are a few more things you need to consider before making the ultimate purchase decision. The material of the ball has an overwhelming effect on your overall performance. A bowling ball made with lousy material will eventually jeopardize your entire performance. The material used for the outer layer of the ball is known as the coverstock. A coverstock is generally made with polyester, urethane or with reactive resin. Polyester covers are harder compared to the other two hence offer better durability. Bowling balls with polyester coverstock are more suitable for entry-level players. On the other hand, urethane or resin covers features a softer layer and they work extremely well on oily lanes. Oily lanes are generally a pro player thing, so consider and compare the material of the bowling ball with your performance to make the ultimate purchase decision. It’s not necessarily true that a bowling ball that weighs more does a better job on the alley. There are merits and demerits for both heavy ones and lighter ones. If the ball is too heavy then it’ll make you tired after only a few throws. On the other hand, if it’s too light then it might swerve off the lane. Most bowling balls come in several size variants. So, pick the weight that will not make you tired and help you deliver a phenomenal performance. Most bowling balls don’t come pre-drilled and need to be drilled after the purchase. This feature has both pros and cons. The pro is it enables the player to drill the ball to fit his/her hand and the playing style. On the contrary, drilling requires some additional cost. So, if you have a tight budget, a pre-drilled ball will be the ideal choice for you. Hook is the term used in bowling that refers to the curve the ball makes. The hook potential of the ball depends largely on the coverstock, core, finger hole position and the polish of the coverstock. Not all bowling ball deliver the same hooking potential. Bowling balls that have polyester coverstock are suitable for straight shooters and the ones with urethane or resin coverstock have greater hook potential. If you’re an entry-level player then you probably haven’t started curving the ball. If the coverstock has a wider surface, the ball will hook more. Also, if the friction on the surface is less, the ball will also hook less and roll in a straighter way. Price is an inevitable part of every purchase decision. Bowling balls don’t come cheap rather many of them come with a hefty price tag. We recommend you to start your journey with a budget-friendly ball and then upgrade to a better one once you develop more skills. Bowling is indeed a fun activity across all age, gender and skill level. Strom creates top quality bowling balls and we have selected the best among them. The ones that we picked are more suitable for advanced players and the intermediate level players who want to take their performance up a notch. Check our another article for beginners friendly bowling balls. Many of them have quite a steep price tag but we assure you that they would offer an excellent price to performance ratio. So, get your hands on the one that’s suits you the best and be ready to rule this bowling season like a boss!